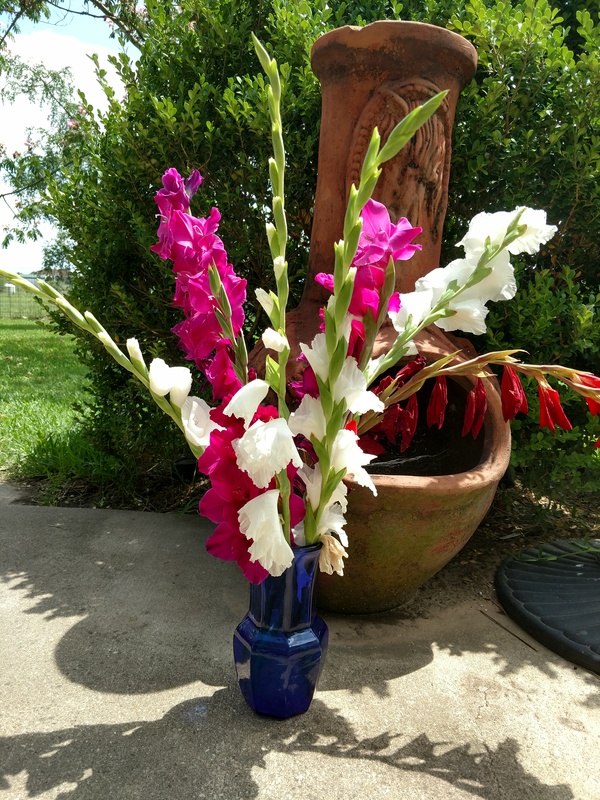 Gladiolas make great cut flowers that last about a week. Purchase and plant the bulbs around Spring break (Mid-March) to have cut flowers by late May (just in time for graduations and for Memorial Day). 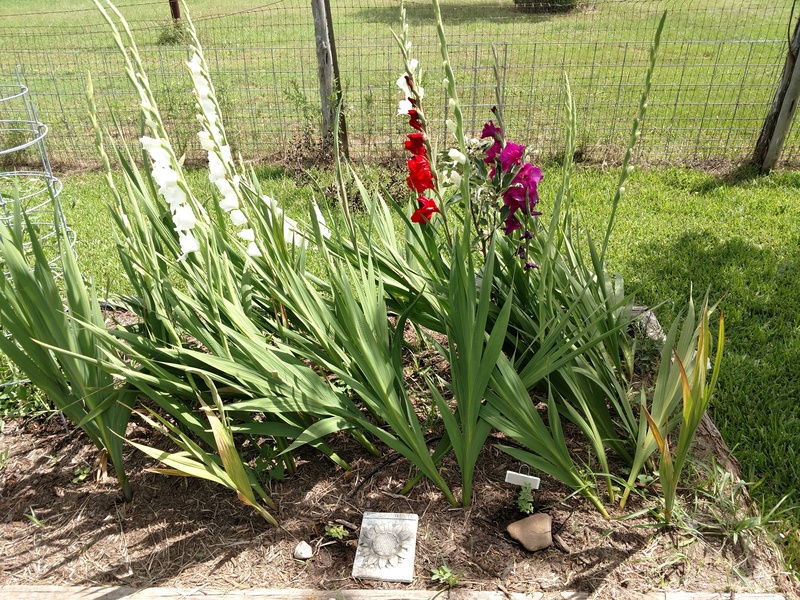 The varied weather of Spring produces gladiola plants that are not straight and picture perfect—so don’t be discouraged if you see something like this—picture below—just let the plants to continue to grow and then cut fresh flowers as they are ready. As the summer temperatures and length of day increase, the plants will die back. Let them continue to grow until they brown, then cut back to the ground and some of them may return the next year (if the bulb has not rotted). Or, cut the plant at the soil (once flowers are harvested) and add excess plant material to the composting area. My experience—about 10% of the bulbs will return the following year, but they grow much smaller, so I usually just buy more bulbs. NOTE: In order for the bulbs to be viable the next year, they should stay in the ground until the foliage is completely brown. That helps the bulbs gather enough energy to survive and grow the next season. The problem in Texas is that summer heat is often quite intense and the bulbs rot before the plant can store the energy.